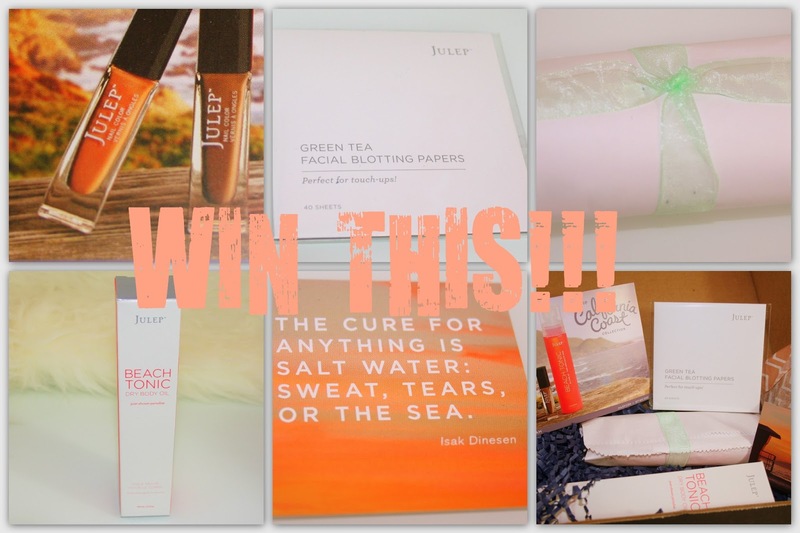 Fashion Maven... Mommy: Win a Julep's July Boho Glam Box From The California Coast Collection! Win a Julep's July Boho Glam Box From The California Coast Collection! Soooo I completely forgot to skip this month's Julep box and sure enough, it promptly arrived at my doorstep this past Saturday. In all honesty, I have soooo much nail polish! Don't get me wrong, a girl could ever have enough... however, I have about 10, maybe even more, unopened bottles of nail polish waiting to be swiped on my nails so I figured it might be fun to give this beauty away! Besides, I always feel bad when I host giveaways that are US only. Well guess what!?! This giveaway is OPEN INTERNATIONALLY!!!!! I don't care where you live in the world, you are eligible to win!!! Two nail polishes from the California Coast Collection in the colors Faye and Karen. To become a Julep Maven click here! All products are unopened and untouched! This is why I don't have the actual photograph of the nail polishes since they're still wrapped in the pretty white wrapping with green ribbon. You'll definitely want to pack these away for your summer vacay! So try your luck 'cause you never know... the winner could be YOU!!! Follow the rules on the Raffle Copter widget and you're all set! Again, OPEN WORLD WIDE! Be sure to follow all the mandatory requirements in order to be considered. The non-mandatory requirements are extra entries for better chances of winning! Thank you SO MUCH for entering and GOOD LUCK! *Had a little 'blonde' moment... the last option is to follow FMM on GFC (not create your own options) oops! Ooooh, those look really great, definitely wouldn't mind trying some of the products! I'd love to win the bottle of the Beach Tonic Dry Body Oil!